Two Texas lawmakers have filed bills after outcry from hunters and meat processors over the state's approval of a new poison for feral hogs. Two bills from Texas lawmakers — state Rep. Lynn Stucky, R-Denton, and state Sen. Kirk Watson, D-Austin — would require state agency or university research before the use of lethal pesticides on wild pigs. The legislation comes after outcry from Texas hog hunters and meat processors over state approval of a new feral hog poison called Kaput, which they say would hurt their businesses and contaminate other game animals and livestock. A state judge issued a temporary restraining order against the rule on March 2. Wild Boar Meat, the Hubbard-based company that sued to stop use of the poison, processes hog meat to sell to pet food companies. Kaput contains a chemical called Warfarin, which at varying concentrations is used as a rat poison and a blood thinner in humans. It causes hogs that consume it to die of internal bleeding, a process that can take four to seven days. House Bill 3451 and Senate Bill 1454, both filed this week, would require scientific studies of the poison to include controlled field trials and assess the economic consequences to the state’s property owners, hunters, and agriculture industry. The Texas Department of Agriculture estimates the state’s population of feral hogs at 2 million. 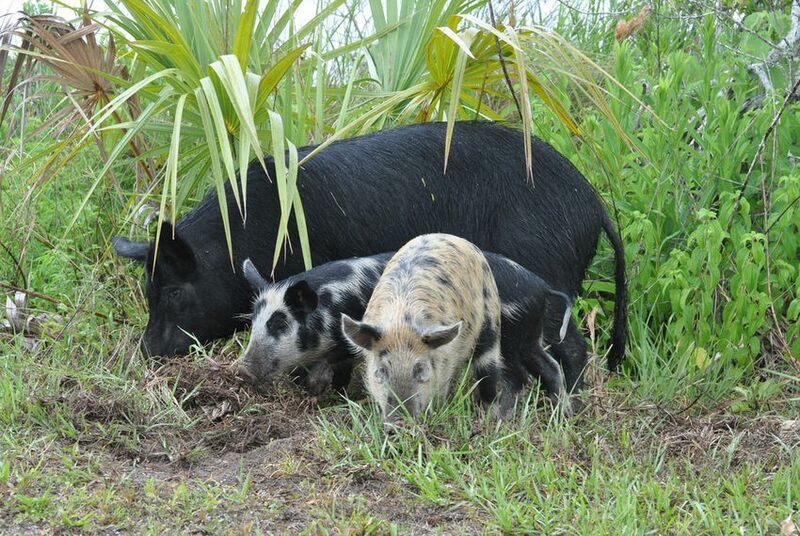 Voracious omnivores, the wild pigs are invasive species that destroys crops, pastures and property. Despite efforts to hunt, trap and even blast them with exploding targets, they’ve continued to menace farmers, ranchers, and some city dwellers in Texas. As adults, they average 150 to 200 pounds, traveling in family groups that usually range from about two to 20 animals. When Agriculture Commissioner Sid Miller announced a state rule change in February that allowed the use of Kaput — which the Environmental Protection Agency approved for feral hog control earlier this year — he called the poison a “long overdue” solution to the extensive damage the wild pigs cause every year. “The ‘Hog Apocalypse' may finally be on the horizon,” said Miller, who as a state legislator passed a measure known as the “pork-chopper bill” that allowed the hunting of hogs by helicopter in 2011. The department has defended the new rule, saying it imposes licensing restrictions to protect against misuse of the poison. When asked about the legislation, Mark Loeffler, a spokesman for the department, said that Scimetrics, the Colorado-based company that manufactures Kaput, “conducted almost a decade’s worth of studies” leading up to EPA approval. Kaput must be dispensed through special feeders – also made by Scimetrics – that have weighted lids intended to limit other animals’ access. The label’s use instructions warn against allowing livestock to graze or hunting in areas around the baited feeders until at least 90 days after removing the poison. Carcasses must either be buried or, if that’s not possible because of environmental conditions, removed from site. The Texas House in 2011 approved the "pork chopper" bill, which would allow licensed hunters to hire helicopters and contract with landowners to shoot feral hogs and coyotes on their property from the sky. How real is the feral hog menace? Here's a Texplainer.